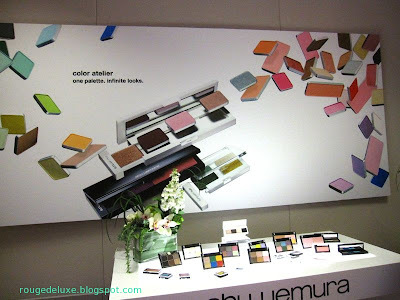 Shu Uemura will launch its Color Atelier line of new eyeshadows and blushes exclusively at Takashimaya this Friday, before rolling it out to other counters next Tuesday. 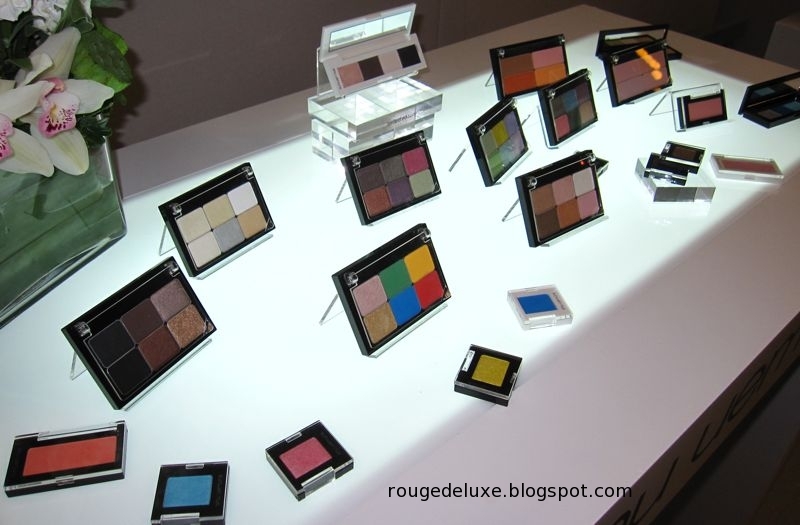 In Singapore, Shu Uemura will be launching 45 eyeshadow shades and 28 blush shades. 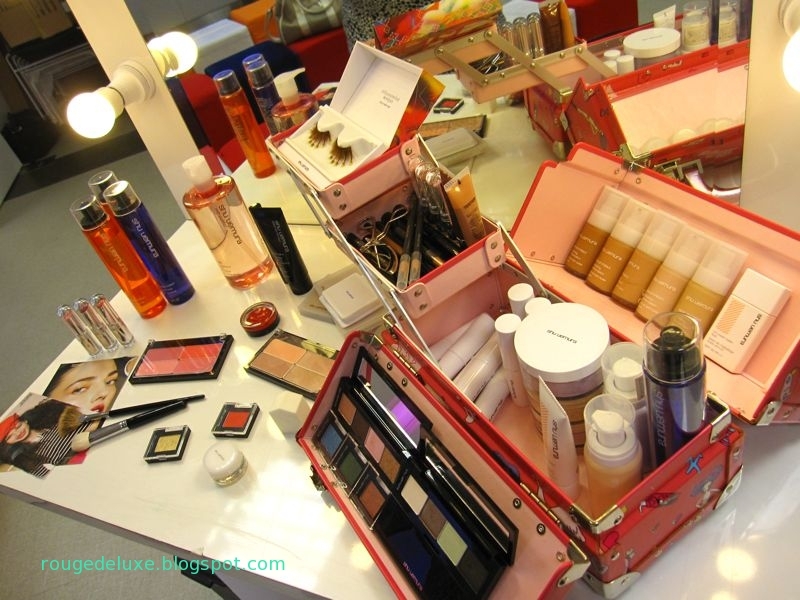 They plan to introduce another 20 eyeshadow shades in the following months. 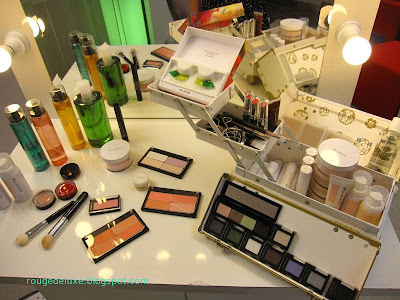 Loyal fans of the brand will be pleased to know that the new eyeshadow and blush refills are much more affordably priced at S$22 (for 1.4g) and S$33 respectively. That is actually cheaper compared to Japan where the eyeshadow and blush refills are 1890yen (S$29) and 2415yen (S$37) respectively. 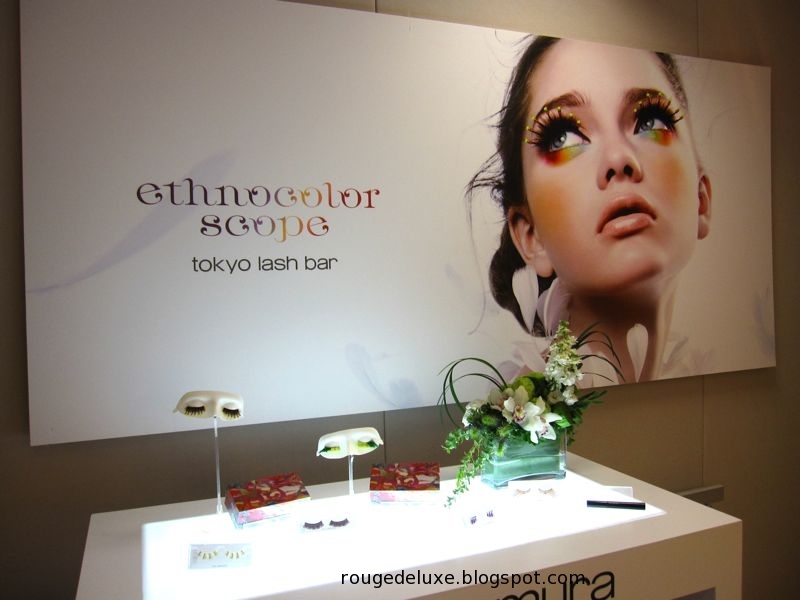 The eyeshadows are made in South Korea and designed in Japan. The cases are S$12 for the mono, S$14 for the duo and S$22 for the quad. This means that a palette of 4 eyeshadows will cost S$110 (versus S$144 for four eyeshadow singles from the previous range). The black quad case will be permanent while the white quad case is limited edition in Singapore. The new palette system is also more environmentally-friendly as it vastly reduces the amount of plastic packaging compared to the previous system. With the Color Atelier, you can be your own makeup stylist and customise the palettes to suit your own individual style. 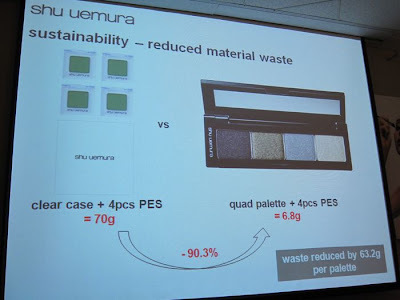 For the launch in Singapore, Shu Uemura has partnered with renowned makeup artist Clarence Lee to design a "City Allure" palette comprising ME Light Pink 126, ME Medium Brown 856, M Light Beige 813 and ME Black 996. The shade combination is flattering on a wide variety of skin tones and allows one to create a diverse multitude of looks, from casual to elegant, demure to seductive. For a fresh twist, Clarence recommended replacing M Light Beige 813 with P Light Green 520 for a refreshing look. P Light Green 520 is very easy to wear as it's not too bright or loud. Clarence will also be doing a series of makeup videos for Shu Uemura, which will be released later on. 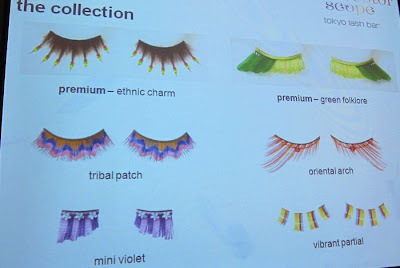 In July, Shu Uemura will also be launching the Ethnocolor-scope collection of false eyelashes inspired by the intricate details of ethnic handicraft and rich folk color patterns. The Ethnic Charm and Green Folklore lashes are S$98 each while the Tribal Patch and Oriental Arch lashes are S$41 and the Mini Violet and Vibrant Partial Lashes are S$34. 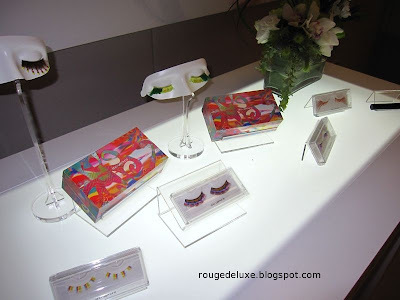 The alluring spread of Shu products, including the gorgeous traincases that were made specially for the Kamon Girls and Abracadabra Fantasy collections. I'll post swatches of the eyeshadows and blushes separately. 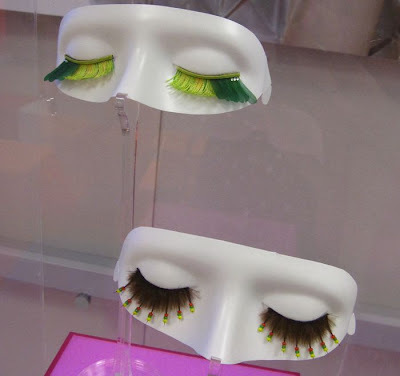 I had a makeover at Shu today and was told about the new shadows and lashes - glad to see the pics here! Looks like Australia will also get both in July. I think the 4 shadow palette layout sort of look like Revlon's Custom Eyes coincidentally, don't you think?